The long-awaited return of Beauty Expo Australia to its Darling Harbour home starts tomorrow at Sydney’s International Convention Centre (doors open at 10am). Over two exciting days you will have the chance to visit a plethora of exhibitors, watch live demonstrations, attend main stage shows and education workshops – and it’s also your unique chance to get up close and personal with the experts in anti-ageing skincare and technology. Sit in on their sessions at the Anti-Ageing Hub on the heart of the Expo floor to hear the latest in products and protocols to help your business boom. Pollution: The New Era of Accelerated Ageing, with Dermalogica’s Andrea Barron. 11-11.20am. New research and evidence shows a direct connection between the increase in pollutants in our environment and it’s detrimental damage to the skin. Did you know that 92% of the world’s population is subject to unhealthy levels of air pollution? 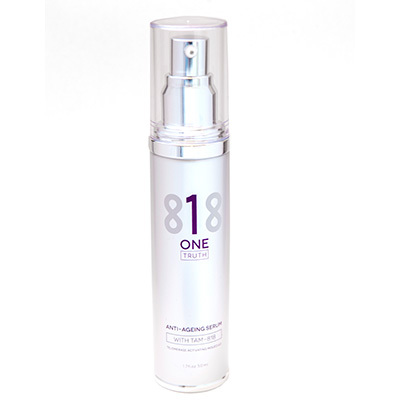 Which is linked to hyperpigmentation, wrinkles and loss of skin elasticity. In this information packed session find out how to detoxify, resurface and protect from harmful environmental pollution. The Latest in Skin Firming You Need to Know, with Sarah Hudson. 11.30am-12.45pm. The list of ways people would like to improve their skin goes on and on, and non-surgical skin firming is the hottest trend of 2017. Learn from an expert how incorporating skin firming treatments into your medi-clinic or salon will be one of the strongest directions you will see for future growth in your business. Non-surgical skin firming devices allow you to broaden your treatment options beyond the face; with neck, abdomen, arms and knees able to be treated. Sarah will discuss what key aspects you must research when investing in this treatment, as well as how to set up, market and get a return on your investment. Sarah will conclude her session with an interactive tour on the Beauty Expo show floor to discuss with relevant distributors the different benefits of their equipment. Price: $115. Purity Meets Performance, with Katrina Main, organicspa. 12.50-1.10pm. In this session, Katrina will highlight the use of active compounds and new ingredients available in the market today. These active compounds enable us to create the purest Certified Organic skincare products. Katrina says: “When developing the products over 10 years ago it was noticed that people’s perception was that natural products do not have a luxurious feel or are not effective. organicspa was developed to demystify this notion”. Now, after much research, it is possible to provide professional grade skincare with high effectiveness and functionality using natural ingredients. Advanced Micro-Needling – A Profitable Business and Skin Solution, with Andrew Christie, Inskin Cosmedics. 1.10-1.50pm. 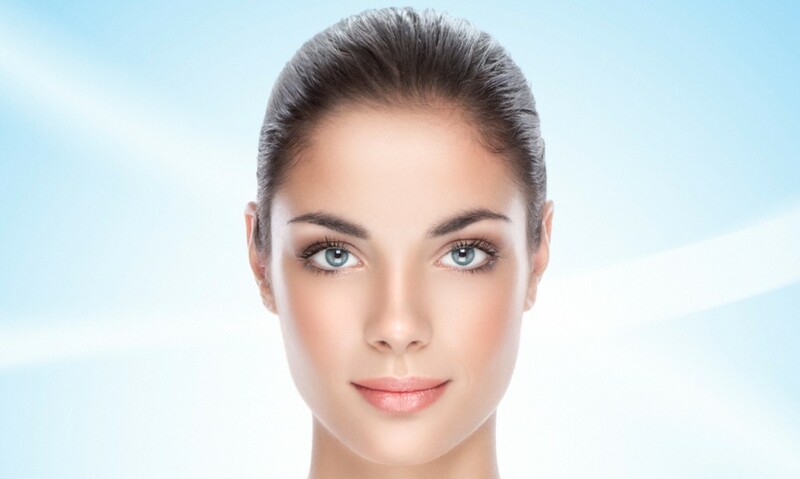 Micro-needling, often referred to as collagen induction therapy (CIT) and more recently fractional rejuvenation, is medical-aesthetics clinics’ number 1 go-to modality for all anti-ageing and serious skin conditions. Non-Invasive, thermal and topical anaesthetic-free, modern day skin needling is quick, effective, super profitable and creates loyal patients and raving fans. 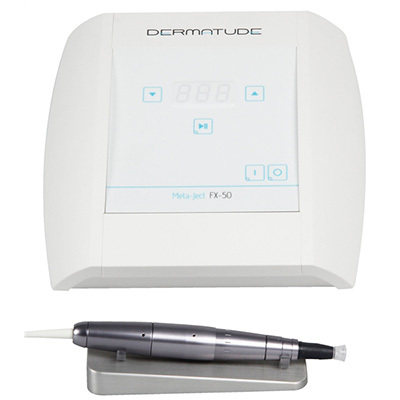 Join Andrew as he presents micro-needling 101, the many reasons why Dermapen3 puts your business in a winning position, explains micro-needling used as an independent modality and how it complements many others while enhancing your medical aesthetic offering and client base. Next Gen Tri-Active Retinol: The Future of Anti-Ageing, with David Whyte, Murad. 2.20-2.40pm. From cellular hydration to next generation retinol, Dr Howard Murad, a board certified dermatologist, trained pharmacist and associate Clinical Professor of Medicine at the Geffen School of Medicine, UCLA, in Los Angeles has dedicated his career to creating high-performance clinical skincare products and services that inspire people to live happier, healthier, more fulfilling lives. Discover Murad’s 30-year legacy of research in anti-ageing and how cellular hydration and new Tri-Active Retinol technology is changing how we address the ravages of time for all generations. Work Smarter Not Harder, with David Suzuki, Bio-Therapeutic. 2.40-3pm. Time is precious, and most of us have realised that we have only two hands, eight working hours a day/five days working days per week to make it all happen. We have done the maths and calculated our possibilities, and the final result is often not ideal. In this class you will learn how to make a model shift with your business and transform it into a retail machine using new innovative mini technology services as your vehicle and your voice. This class will feature the use of all bt-GEAR technology by Bio-Therapeutic. Vanessa Megan presents the next generation in active organics using Extreme Polar Temperature to innovate the absorption of powerful ingredients to resurface and rejuvenate the skin. Intelligent science meets nature with the award winning Cryo Ice Cube treatments. Best used when applied immediately after the skin has been heated. Optional hydrating or soothing formulas feature hyaluronic acid or white tea and aloe vera. The Anti-Pollution Solution, with Brian Goodwin, Eminence. 3-4pm. Discover the link between pollution and how it impacts the most common skin concerns our clients are searching for effective solutions to. Learn how to fight the adverse effects of environmental pollutants, such as hyperpigmentation, irritation and dehydration with a unique blend of potent microgreens and powerful, second generation antioxidants. Up your Game in Skin Analysis – Great Ideas For Your Clinic, with Margaret Walsh, Observ. 10.20-10.35am. Skin analysis technology provides “a journey beneath the skin”. Today, clients seeking professional skincare are more knowledgeable and have higher expectations of treatments and products. They demand results-oriented protocols and expect results to be documented and communicated. Skin diagnostic devices are of huge importance for professionals who are serious about providing corrective skincare solutions in their salons, spas and clinics. You can’t measure progress without knowing what the starting point is. 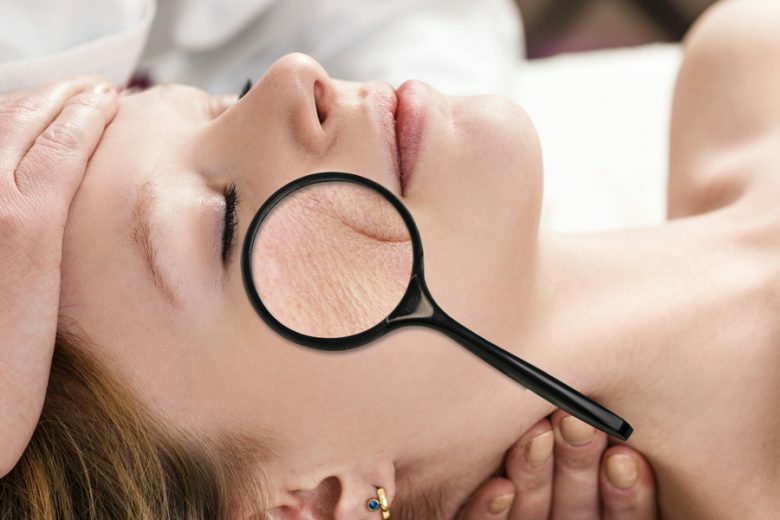 Comprehensive advanced skin analysis, including the use of diagnostic equipment, is therefore now a professional must. Hollywood (Beauty) Comes to Town, with Dr Joseph Hkeik, Cutera. 10.40-11am. 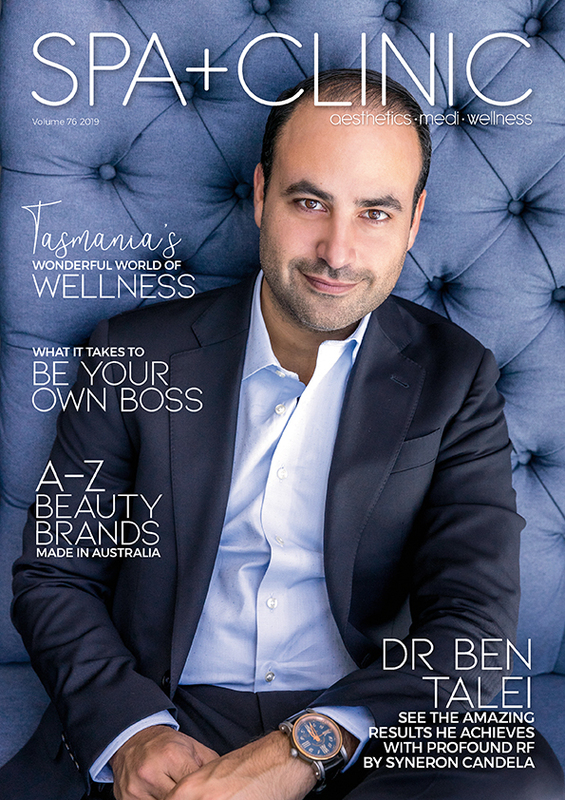 Founder of the beauty destinations for Sydney’s Elite, cosmetic physician Dr Joseph Hkeik presents the celebrity’s laser treatment of choice. Dr Hkeik shares his expertise on the evidence-based laser treatment which can be offered to almost any client, proving you can drive profitability on established technology, great results and patient satisfaction. Science Corner: The Science Behind Active Ingredients, Formulation and Delivery Technologies, with Dr Geoffrey Heber and Tracey Beeby (left), Ultraceuticals. 11.10-11.40am. This session will delve into the process and science of creating superior delivery technologies, blending active ingredients and producing state-of-the-art efficacious formulations to gain real visible results to help combat visible signs of ageing and acne. Advanced Micro-Needling – A Profitable Business and Skin Solution, with Andrew Christie, Inskin Cosmedics. 11.50am-12.20pm (as per rundown for Saturday, above). Pollution: The New Era of Accelerated Ageing, with Dermalogica’s Andrea Barron. 12.40-1pm (as per rundown for Saturday, above). Light, Brighter – Naturally. Hyperpigmentation Uncovered! Presented by Brian Goodwin, Eminence. 1.10-1.30pm. Gain a better understanding of the processes of hyperpigmentation and uncover the key to erasing and preventing hyperpigmented skin, naturally. Learn why natural, organic and biodynamic actives are all the rage and what state-of-the-art natural alternatives are available to effectively treat hyperpigmentation. The results will amaze your clients and keep them coming back for more! Be Extraordinary, with David Suzuki, Bio-Therapeutic. 1.40-2pm. Learn how to implement unique, results-oriented, layered technology services to make your competition obsolete! Organic Beauty, with Therese Kerr and Nick Allan, The Divine Company. 2.10-2.30pm. Today’s woman is different – her daily ritual, the ways in which she cares for herself, the products she uses and her reasons for using them are changing. Authentic, confident, discerning and not willing to compromise herself or her longterm wellbeing, today’s woman engages in a beauty ritual honouring that. Committed to looking and embodying her greatest self, she doesn’t buy into pseudo marketing. 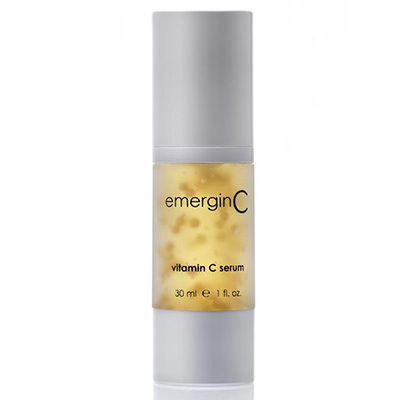 She is a pioneer, seeking healthier products containing the purest of active ingredients, delivering concise, measureable and age-defying results. The choices she makes are an extension of her values. Flawless skin is a reflection of her essence. Nutrition – The Missing Link to Healthy Glowing Skin, with Chiza Westcarr. 2.40-3.10pm. There is a growing awareness that in order to achieve optimal health nutrition must play a key role. As someone in charge of the largest organ of the body, the skin, join Chiza Westcarr to learn how a poor diet can sabotage your client’s quest for healthy, glowing skin. Chiza has been a popular presenter at Beauty Expo over the years and we are pleased to welcome her back. A 360 Degree Approach to Skin Health, with Dawn Clifford, Image Skincare. 3.20-3.40pm. Learn how to approach skincare from the inside out: a literal 360-degree approach to “ageing later” utilising Image Skincare’s exclusive beauty elixir YANA paired with a customised skincare product regime for optimal results. Reverse collagen degradation, reduce fine lines and wrinkles, and improve skin texture with the most innovative products to hit the market. Take your skincare business to the next level. Anti-Ageing With Botanicals, with Lori Nestore. 3.50-4.10pm.